I am not one to take advice from a food tour guide lightly - especially when that guide turned friend showed us some of the best things to eat when we were in Istanbul. This woman eats well no matter where she goes, so when she learned we were spending a month in Lisbon, she regaled me with numerous texts about where to eat and drink. One of those places she recommended was a coffee shop called Flor da Selva, and before I even replied to her, I was looking it up and planning my visit. I found it on my map and walked over there the very next day - it turns out it’s quite close to our apartment. Only it was closed. The curtain was drawn and the sign said “fechado”, or closed, in sad letters. Learning Portuguese the hard way. I checked Google again to make sure I was in the right alley. The laundry fluttered above me and then it started to drizzle a fine mist like like I was a lettuce at the grocery store. I was in the right place. The awning I tried to hid under was rolled up but I could clearly see the name printed on it. I went back the next two days in a row - in the morning and in the afternoon - and had the same results. I peered into the window and saw a sawhorse and a stack of boxes. A broken vacuum lurked like a creep in the corner. I texted my friend in Istanbul and told her I thought Flor da Selva was closed. Her response? No. I continued my research on the best coffee shops in Lisbon. There are a load of them, but the one I sought was the elusive Flor da Selva. It started to haunt me like the kiss of a lost lover as I wandered the streets of Lisbon. I started to see the name as an apparition around the city - on faded awnings and espresso cups at other coffee shops near and far, and even in the eyes of strangers I passed on the street. I could see it in their eyes. They had sipped the coffee of Flor da Selva, I just knew it. A taunt. Nothing more than Lisbon holding its secrets and playing hard to get. I would prevail, but with the help of Celia at Culinary Backstreets who took our group up the same alley I had myself haunted while looking for this “coffee shop”. Turns out it was a cross the street from the storefront I had been stalking for a week. Even when they are open, it doesn’t look like an inviting place to visit as a random tourist. But please don’t let that stop you! I buried my feelings of shame with a tide of excitement as we saw the chimney of this wood fired roaster billowing smoke above this tiny section of Lisbon. We walked into what wasn’t a coffee shop but a wholesale distributor of some of the finest coffee you’ll ever have. What makes Flor da Selva so good, you ask? There are three things in my opinion. One is that they roast their coffee over a wood fire as opposed to more modern methods that use electricity or gas. If you’ve had a pizza out of a microwave and then out of a wood fired oven you’ll know what I’m talking about. The other thing is that they don’t add any sugar or anything to the bean. It’s just straight up coffee. I didn’t know this, but apparently many roasters add sugar and it is THIS that makes you all jittery, and not the caffeine. Lastly, and maybe most importantly, is that this is a 3rd generation operation that started in the very same spot in 1950. There is something to say for tradition and a singular focus, I must admit. These folks are passionate about every aspect of coffee. It starts all the way back to the dirt the bean is grown in all the way down to the temperature and type of water you brew it with, and every step in between. 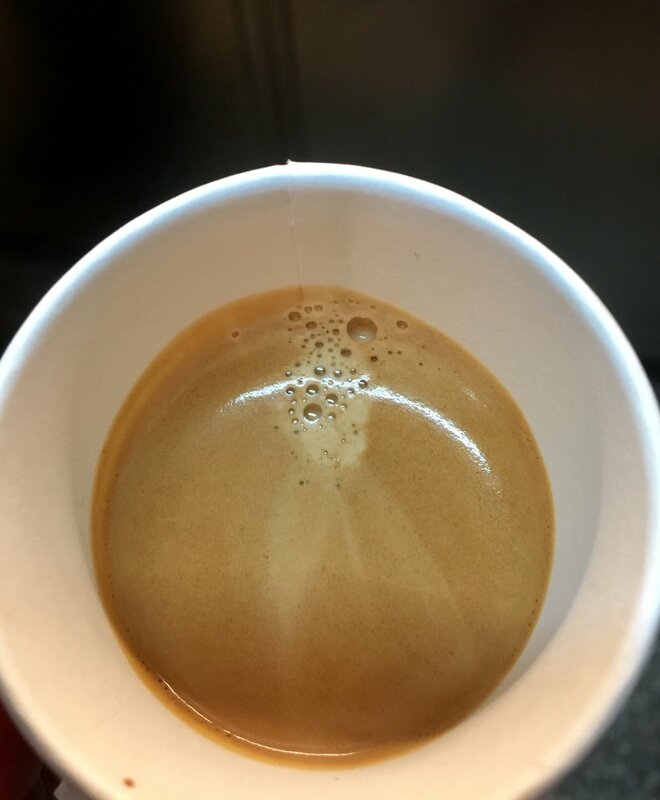 We had a shot of espresso on our tour with Culinary Backstreets an it was a smooth as anything I’ve ever had. Nutty. Fruity. Soft. A little fatty if that makes any sense. A few days later I went back to buy my own bag of coffee for home use. It’s fresh and organic, so will only last a max of two weeks once ground. You can do this too - if you are persistent enough. Lisbon has a great vegan food scene. So great that there was no way we could go to every place on offer (more for next time). This is a list of all the vegan restaurants we ate at and what we thought. Hope this helps you find your way eating vegan in Lisbon. If you like food and you like meeting the people responsible for bringing you that food, you’ll be as excited as we were to take the Culinary Backstreets Song of the Seas food tour. We arrived at our Lisbon apartment when it was dark and rainy. Once we were inside and shown all the details, Carla, the manager, casually mentioned to us that Lisbon’s narrowest building was just down the street. “Be sure to check it out".” She advised. And thus started my obsession with what is considered to be Lisbon’s narrowest building. We walked by the Vellas Loreto candle shop so many times that it became another part of the Lisbon street scene - as ubiquitous as a pastry shop or tile building. Until one day we needed a candle. Which is something I never thought I would write. Once we knew we were spending a month in Lisbon, I knew right away that I needed to do a Google search for the “best coffee shops in Lisbon”. I made a list and started to visit them one by one so you don’t have to. Although you should. The results may surprise you. Did you know that there are only two wood fired coffee roasters left in Europe, and one happens to be down the street from our apartment? I tried to find it myself, but ran into some problems. Patience is a virtue when hunting for anything in the back alleys of Lisbon! An overview of our time spent in Lisbon. There's a reason everyone wants to come here. Now we want to go back. Portugal is known for many things, and one of them is the variety and abundant use of azulejos, or tiles. There are azulejos on walls and floors and inside and outside of most buildings. If you like tiles, you'll love Portugal, and specifically you'll love Lisbon!